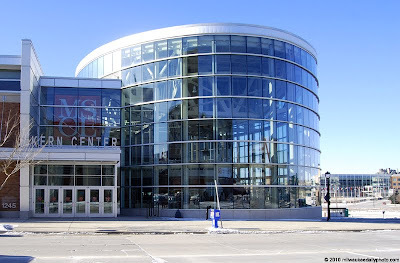 The Kern Center at MSOE has over 200,000 square feet of space for athletics, recreation, health, and wellness. There's a fieldhouse, ice rink, running track, weight room, and all the facilities necessary to support the athletes and visitors. Sounds like a fantastic place. Looks great too! Wishing you a peaceful and love-filled 2010.